With Rob Cowan. Including Five Reasons to Love Bach Organ Works; musical challenge; Artist of the Week: cellist Steven Isserlis, featured in Prokofiev's Cello Concerto in E minor. Rob presents '5 reasons to love... Bach organ works'. Throughout the week Rob puts Bach's organ works centre stage, showcasing their complexity, and the virtuosity required to perform them. He highlights their flashes of humour, as well as their gravitas and sheer power, plus the way Bach often reinvented pre-existing works. Rob hand-picks recordings by organists including Helmut Walcha, Simon Preston and Ton Koopman. 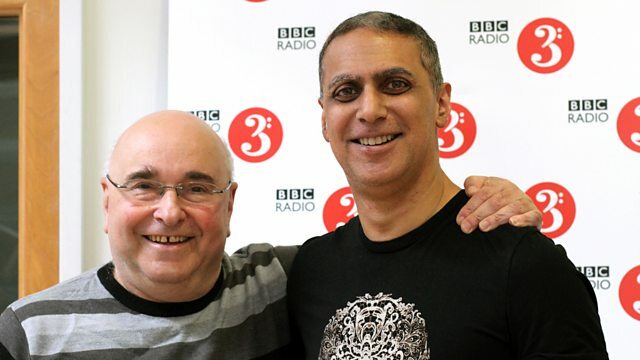 Rob's guest this week is Nitin Sawhney. A composer, producer, songwriter, DJ and multi-instrumentalist, Nitin is one of the BBC's Ambassadors for the new Ten Pieces project. His musical credentials include collaboration with artists from Sir Paul McCartney to The London Symphony Orchestra. As a child Nitin trained as a classical pianist, moving on to classical and flamenco guitar and learning to play sitar and tabla. He has since toured the world with his band, and recorded nine studio albums, winning accolades for his amalgamation of styles including jazz, flamenco, electronica and classical Indian ragas. He has composed for theatre, film, television and video games with credits including writing the BAFTA-winning soundtrack for The Human Planet, scoring ad campaigns for brands such as Yves Saint Laurent and Nike and writing a new score for Alfred Hitchcock's The Lodger. Nitin will be sharing a selection of his favourite classical music with Rob, every day at 10am. The BBC has just launched the new Ten Pieces for secondary schools, opening up the world of classical music to children and inspiring them to respond creatively to what they hear. To celebrate this Rob chooses music that complements this exciting selection of works. Rob's featured artist is the cellist Steven Isserlis. A musician who wears his considerable virtuosity lightly, Isserlis has received worldwide acclaim for his technique, musicianship and command of the instrument. Throughout the week Rob presents recordings by Isserlis including an elegant interpretation of Haydn's Cello Concerto No.1, a lyrical performance of Grieg's Cello Sonata and a rendition of Prokofiev's Cello Concerto that captures the bittersweet language of the work. Performer: Steven Isserlis. Music Arranger: Gregor Piatigorsky. Orchestrator: Maurice Ravel. Orchestra: Royal Concertgebouw Orchestra. Conductor: Riccardo Chailly. Ensemble: Collegium Musicum 90. Director: Simon Standage. Orchestra: Orchestra of the Academy of Santa Cecilia, Rome. Conductor: Sir Antonio Pappano. Performer: Andrew Lucas. Choir: Choristers of St. Paul's Cathedral. Conductor: John Scott. Performer: Hélène Grimaud. Orchestra: Vienna Philharmonic. Conductor: Andris Nelsons. Chaminade: Piano Music - 1, Peter Jacobs. Performer: Steven Isserlis. Orchestra: Frankfurt Radio Symphony Orchestra. Conductor: Paavo Järvi. Orchestra: Orchestre National de l'ORTF. Conductor: Jean Martinon.